Vivian Gonsalves, Ph.D. is a Clinical Assistant Professor in the School of Special Education, School Psychology, and Early Childhood Studies. 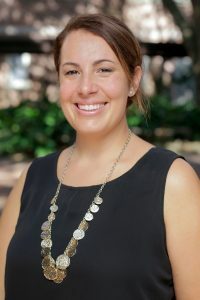 Her research focuses on early literacy development, teacher education, mentoring, and reading instruction and remediation. She is currently an instructor of special education and literacy development courses in the Proteach program, which prepares pre-service teachers. Additionally, she is the University of Florida Literacy Initiative (UFLI) trainer for the same program. Dr. Gonsalves is currently the program coordinator for the Dyslexia Certificate program at UF. This is an online program for educators and other professionals interested in working with students with Dyslexia. Dr. Gonsalves is also the coordinator of the James Patterson Literacy Challenge, a project which focuses on improving literacy outcomes for students in high-needs schools in the state of Florida.